1. 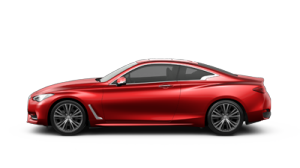 Are INFINITI models sold by Inspired Motor Sdn. Bhd. eligible for the new vehicle warranty? Yes, with effect from 1 January 2017, the warranty period for all private usage INFINITI models with Year Make 2017 will be seven (07) years with unlimited mileage. However, any vehicles purchased for commercial usage, such as but not limited to public transport, taxi, rental car, converted vehicles and goods carrier, are NOT entitled to the seven (07) years warranty. The vehicle warranty for these vehicles will be three (03) years / 100,000 km (whichever comes first). 2. What is covered under the 7 years warranty? Is it the same as the first 3 years? The first 5 years warranty conditions are identical to manufacturer’s 3 years warranty, while 6th and 7th year warrants engine, transmission and selected parts coverage (Terms & conditions apply). 3. How do I keep my 7 years warranty valid? 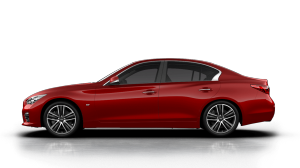 To maintain the validity of the 7 years warranty, the vehicle must be serviced according to INFINITI Periodic Maintenance Schedule (PMS) and required intervals. 4. Is this 7 years warranty transferable to the new owner? Yes, the 7 years warranty stays with the vehicle regardless of change in ownership, subject to terms and conditions as stated in the new Warranty Information & Maintenance Booklet. 5. I have just collected my vehicle in December 2016, am I entitle for the 7 years warranty? The 7 years warranty is only valid for vehicles with Year Make 2017 onwards. 6. I currently own an INFINITI vehicle and wish to purchase the extended warranty package. How can I purchase it? 7. 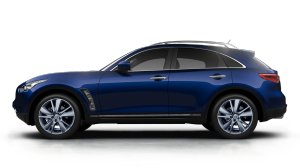 Will the INFINITI accessories purchased with Inspired Motor also be having the same 7 years warranty? All the original accessories purchased with Inspired Motor will be covered under 3 years / 100,000km (whichever comes first) EXCEPT window tint film which comes with 5 years /unlimited mileage warranty.